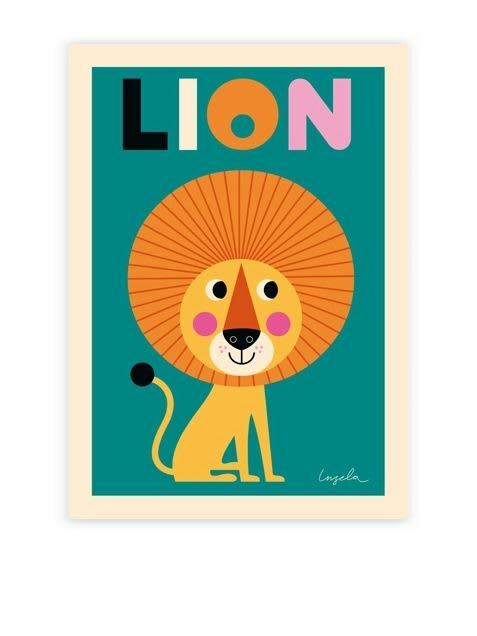 A Lion Poster by Omm Design. The poster is illustrated by the great Swedish designer Ingela P. Arrhenius. Human Empire Shop in Hamburg, Germany.